WASHINGTON — Conservatives for Responsible Stewardship (CRS) strongly condemns President Trump’s move, announced today in Utah, to dramatically slash Bears Ears and Grand Staircase Escalante national monuments. “Today President Trump took a wrecking ball to America’s natural and cultural heritage. 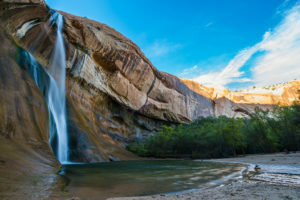 In doing so, he showed total disregard for the law, for the ethic of stewardship, and for the many small businesses that depend on these national monuments,” said CRS president David Jenkins.